Anxiety, according to the Anxiety and Depression Association of America, is a broad term for multiple “psychiatric disorders that involve extreme fear or worry”. This can include, but is not limited to, generalized anxiety disorder, panic disorder and social anxiety disorder. 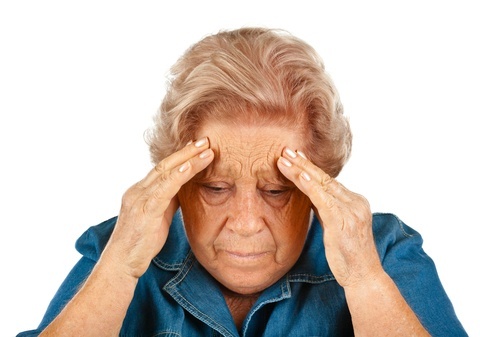 Many forms of anxiety cause similar feelings of fear, or worry over one thing or another. Anxiety can become a debilitating disease, making you feel like you cannot leave your home or even do anything at all. It can take your breath away and keep you stuck inside, too anxious and worried about going out and doing things. 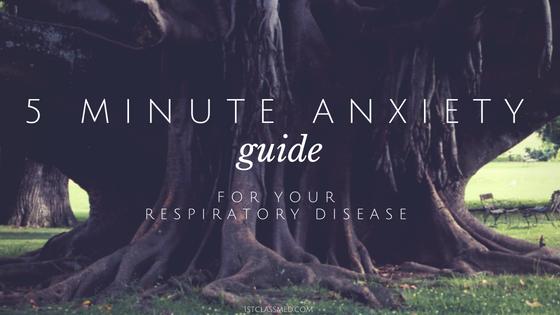 Those with respiratory diseases, like COPD, can get also get anxiety attacks which can make it even harder for them to breathe. For those with COPD, or like respiratory diseases, it is important to do what you can to calm yourself down during an anxiety attack. Letting an attack progress far enough can lead to hospitalization because of the inability to breathe, which can cause a lack of oxygen to your body. When faced with an anxiety attack, it is best to find a quiet area or room to calm down and focus on your breathing. 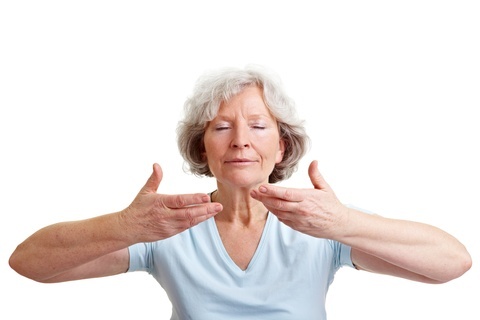 It is important to focus on your breathing as it can calm you down and help you regain your normal level breathing. Though it can be hard to determine if you are having an anxiety attack, these breathing techniques can be beneficial whenever you use them, for whatever purpose. If you want to practice your breathing after or during exercise, or if you feel an anxiety attack coming on, the practice can calm you down and bring your breathing back to normal. It can help to practice these techniques when you are not having an anxiety attack so if you do have one, you know how to breathe and calm yourself down. Just make sure you find a quiet environment when you practice any of the breathing techniques in this guide. The quiet environment will allow you to focus on your breathing, which can make the breathing techniques work quicker as you are more focused. The two breathing techniques that can be beneficial to your lungs are pursed-lip breathing and diaphragm breathing. These both can help strengthen the muscles around your lungs, and calm you down in moments of panic or anxiety attacks. It is important to practice these not only in moments of anxiety, but also when you are in a calm situation. Pursed-lips breathing is where you breathe in your nostrils and out through pursed-lips, similar to blowing out a candle. While breathing out, keep breathing for 2-3 times longer than you had breathed in. Your goal is to try and expel as much air from your lungs as possible, as sometimes when we breathe we do not get all of the remaining CO2 out. This can be done while sitting and watching tv, or laying flat on the floor without any pillows or blankets under your head. Diaphragm breathing is most successful when you are sitting or lying back, and you are relaxed. Put one hand on your stomach, and one on your chest, when you breathe in you should notice your stomach is rising, when exhaling, your stomach should lower. Following the pursed-lips method, breathe in through your nose and out through your pursed-lips. Doing either of these a few times a day in a few minutes up to five minutes should help strengthen your lungs and calm you down. If you feel like you are struggling to master these techniques, ask your doctor or respiratory therapist and have them show you the proper technique. When this is mastered, you can use it for any time that you feel you are out of breath. If you walked up a long flight of stairs, or if you are feeling any anxiety or stress. Following these methods until you feel relief or more relaxed can help you feel less stressed and anxious. If you feel after a short 5 minute session that you are still harboring some anxiety, it can be beneficial to try another 5 minute session. It is very important to be in a quiet area when breathing, as your focus should be on your breathing. This focus should help keep your sessions around one to two sessions every time you feel anxious or stressed. By focusing on breathing it can make it easier to calm down faster, as it can be relaxing. Though practicing these breathing methods is an important thing to do to prepare for any moments of panic, practicing a lot during the day can tire you out. Focusing on breathing like this a few times a day (maybe after each meal) can prepare you for moments of panic. Practicing more than a few times a day can wear you out and make it hard to relax. Though it can be tough to have anxiety and COPD (or similar respiratory diseases), there are ways to help yourself in those moments of anxiety. Ask your doctor or respiratory therapist to help you with these breathing techniques if you are unsure how to do them properly. Also speak with your doctor about your anxiety if you have a lot of anxiety attacks and struggle to regain your normal level of breathing.